The Most Versatile Gesture Control Technology! Designed with Versatility in mind, the Maestro Gesture Glove™ Truly puts POWER in the palm of your hands. Use Maestro to control Applications, Games, Drones right out of the box or Build your own App using our powerful APIs. Easy PC Setup & Control! 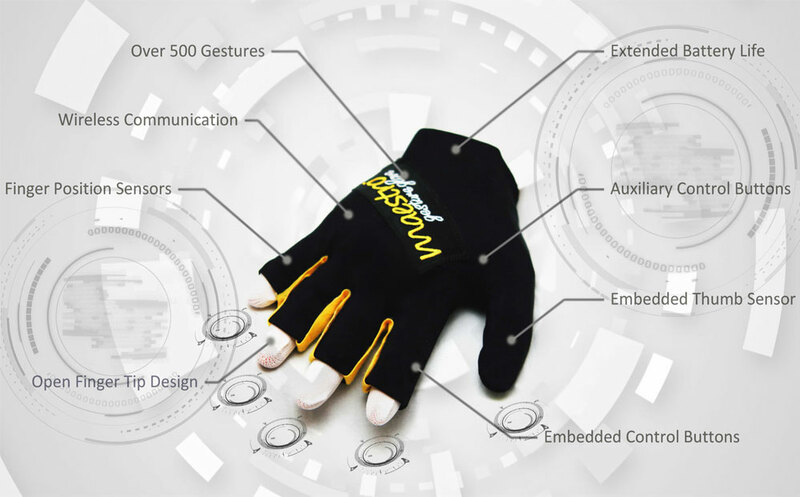 Maestro Gesture Glove comes software ready! Control your PC with Hand Gestures. Use Maestro Gesture Glove to control your phone & mobile devices. 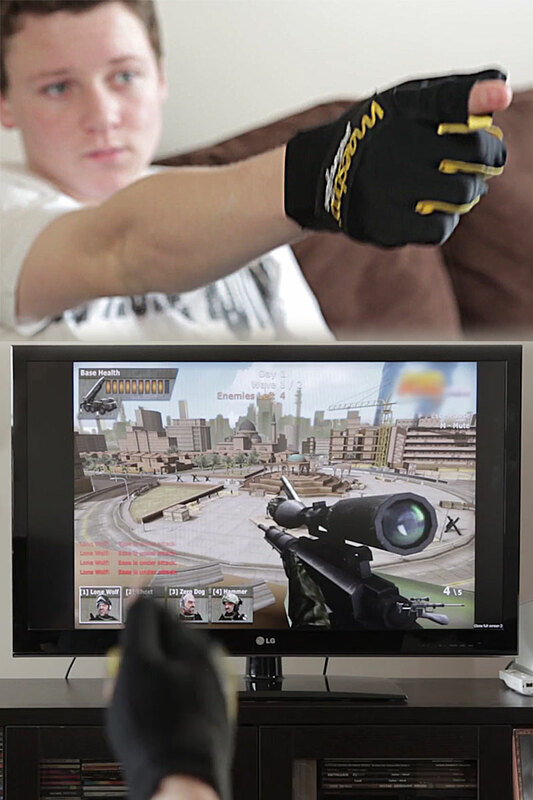 Use Maestro Gesture Glove to play your favorite games with a life-like experience. Have you ever seen or tried one of those Drone remote controls?! Not so easy... Control your Drone using the Maestro Gesture Glove with motion gestures for easy acrobatic tricks, and control. 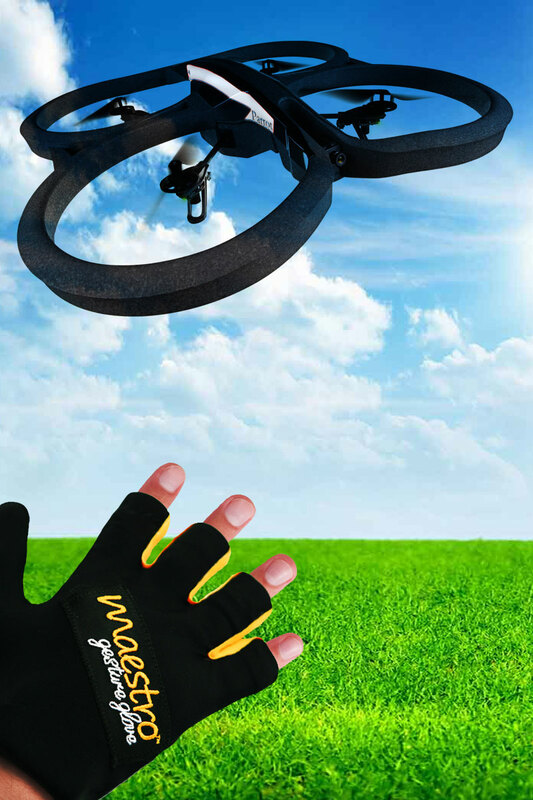 Maestro Gesture Glove allows users of any skill level more accurate and stable control of UAVs. Households today are filled with computers and electronic devices. Maestro Gesture Glove can serve as a remote control, keyboard, mouse, or other gaming/HMI device for more accurate and dynamic control. Program your own custom gestures to create personalized and life-like experiences that are compatible with all PC games. Weekend warrior? 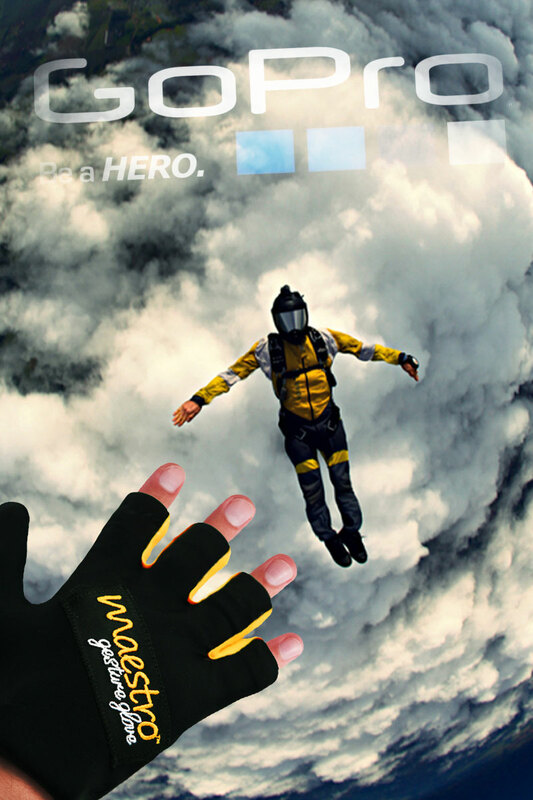 No matter whether you jump out of planes, ride bikes off cliffs or take your car where cars shouldn’t go, the Maestro Gesture Glove enables you to capture all those wild and adventurous moments. Mount your GoPro and use Maestro’s hands free gestures to record videos and take photos. 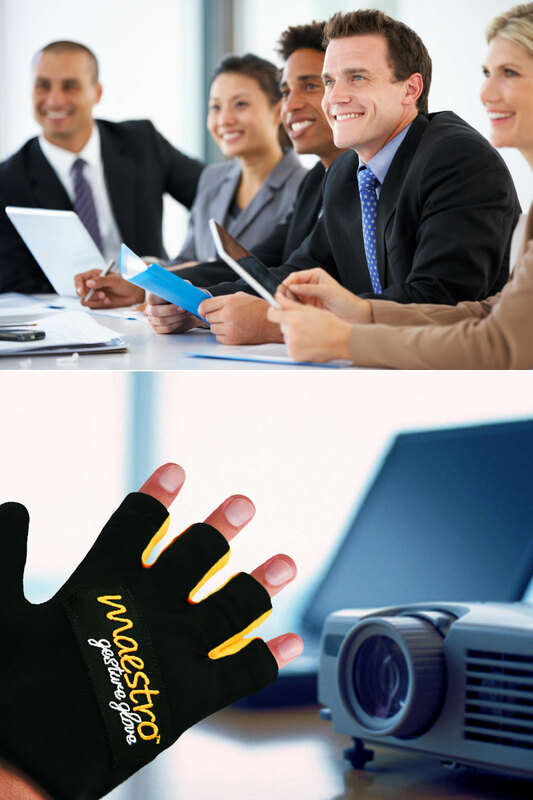 The Maestro Gesture Glove gives the user a more comfortable and “ease of control” experience while operating a PC. If you frequent the web, review or edit documents, and check your email, the Air-Keyboard and Air-Mouse feature will provide a 3-D spacial-control experience made popular in the “Minority Report”. Simple motions allow users of all skill levels a unique experience. Never fumble with your projector remote again! Control your entire presentation from navigating slides, using embedded media within the slide, switching PC applications fluently and, of course, the popular “pointer” feature. Referees can award points in scoring directly to the scoreboard when utilizing the Maestro Gesture Glove on the right or left hand or both! 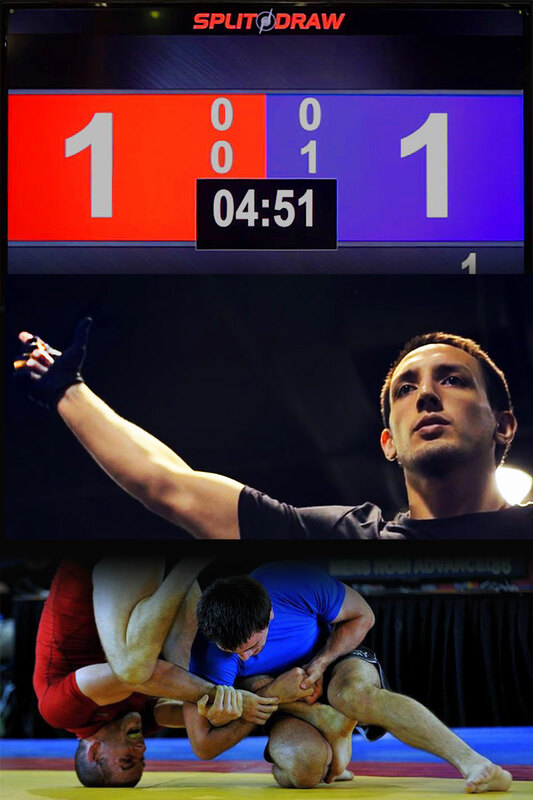 The Maestro is fully integrated, out of the box, with the SpiltDraw™ Sports Management System used at events Worldwide. The Maestro Gesture Glove comes ready to use out of the box. Just install the Software and Enjoy! Unlimited possibilities in the palm of your hand. Over 500 recognizable gesture capabilities. Development SDK comes complete with full documentation and instructions for developers. Extended battery life for uninterrupted usage. A charge will provide a full day of continuous use. The Maestro Gesture Control Glove is a leading HMI device technology with a universal communications interface that easily integrates with wireless devices. Using hand motion, finger position, and orientation users can control WiFi or Bluetooth enabled electronic devices. The Maestro Gesture Control system also comes with an air-keyboard and air-mouse interface. Customize gestures to control your favorite video games or Develop your robust applications using the Maestro's powerful SDK. Use with any smart WiFi or Bluetooth Device. Comes with preloaded Gestures and Software. Developers can integrate Maestro Gesture Glove in custom applications easily! “To build and sustain a dynamic, highly-skilled, demand-driven team that is focused and aligned with a common purpose to deliver a superior product through core values like integrity, courage, networking, respect for people, and creativity with balance integrated in our daily endeavors”.